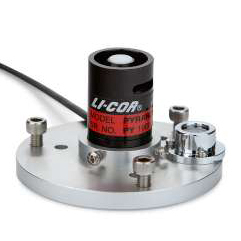 Announcement: As of April 2015, LI-COR has introduced a redesigned version of their light sensors. This new design incorporates a sensor element that can be detached from its base, allowing users to easily switch sensors in the field. 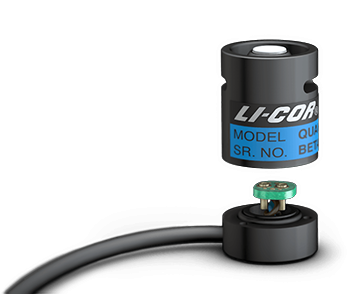 The new sensors are designated with an "R" at the end of the part number, for example LI-200R. They are available in a variety of lengths – 2 meters, 5m, 15m, and 50m – and can be terminated as bare wire leads (-BL) or as a BNC connector (-BNC). EME Systems carries both the new version and, for a limited time, the old version. PLEASE NOTE: All EME Systems amplifiers will work with the new version of the sensor. However, carefully follow the wiring instructions as it has changed. Any questions? Please write us an email at info@emesystems.com or call us at (510) 848-5725. 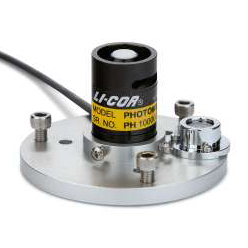 The LI-190R Quantum Sensor measures photosynthetically active radiation (PAR) — which is energy that drives photosynthetic reactions in plants. It is ideal for plant science research, horticulture, ecology, greenhouses, and growth chamber light measurements. It is available in a variety of configurations for compatibility with most data loggers. The LI-200R Pyranometer is designed for field measurement of global solar radiation in agriculture, meteorological, and solar energy studies. 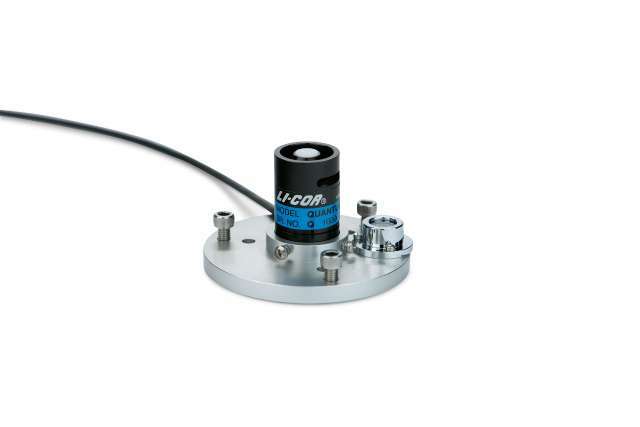 The LI-210R Photometric Sensor measures light with the same sensitivity as a typical human eye. The photometric sensor is ideal for evaluating illumination in work areas, exhibits, interior lighting, and in public spaces.